Hello readers! My name is Jake Hilliard and I’m a second year OpenTEL PhD student in The Open University’s Institute of Educational Technology (IET). Although I’m in the second year of my PhD, I’m actually in my third year of study at The Open University. When I applied for the OpenTEL PhD studentship, I was very fortunate to get accepted onto a four year full-time programme which included completing a Master’s of Research in Educational Technology (something which I really enjoyed!). My primary research interests are focused around computer-supported collaborative learning, specifically exploring affective issues in these learning environments. My experience of being an OpenTEL PhD student has been fantastic! I’m very fortunate to study with a great bunch of students in IET. There’s around twenty five of us in total (a mixture from two funding streams: OpenTEL and the Leverhulme Trust) and we’re all based on the first floor of the Jennie Lee building at the Open University’s Milton Keynes campus. It’s great that there’s such a large PhD cohort located in the same area, as this really does make you feel part of a community and helps reduce any feelings of isolation that are sometimes associated with studying for a PhD. As well as meeting up for lunch, and having well deserved coffee and cake breaks J, we have a Christmas party each year, go out for meals and attend other social events together. Before starting at The Open University I was a little concerned that my knowledge of research methods and data analysis might not be at the level required to undertake a PhD. I’d been a full-time teacher for just over four years and I soon realised when writing my application form that I’d forgotten more than I thought! I was quite relived when I found out that there was specific research methods training in my MRes year. These sessions were delivered by Martyn Hammersley and John Richardson and they really grounded my research methods knowledge. It was also a privilege to attend sessions delivered by such experienced and well-known scholars. Since starting my PhD, I’ve been able to further develop these skills by attending the doctoral training programme run by The Open University’s Graduate School Network. Although there’s a large array of training and development sessions offered at The Open University for PhD students, over the last year I’ve attended numerous events held at external organisations. I first attended a number of training sessions delivered at other UK universities. These were very specific to my training and research needs and gave me the opportunity to meet other PhD students and researchers from other academic institutions. These were all excellent experiences and they really made me think a lot about my research in different ways. For anyone undertaking a PhD, I would really recommend attending such training events (I found many of these on the Social Research Association and National Centre for Research Methods websites). 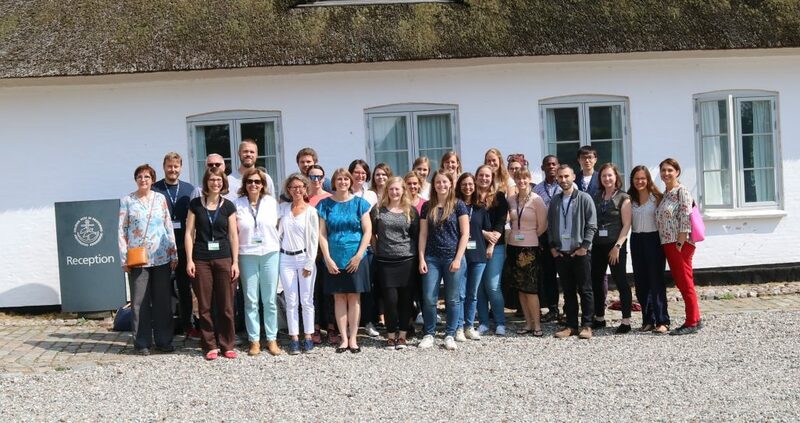 I also had an amazing opportunity to attend two summer schools last year (if you’d asked me what a PhD summer school was before starting at The Open University, I wouldn’t have had a clue!). I wouldn’t have found out about these opportunities if it wasn’t for two other IET PhD students (thank you Gosia and Paco!). The first summer school was organised by the European Educational Research Association and was held at Masaryk University in Brno, Czech Republic. The summer school was held over five days and was themed around qualitative and mixed methods research. The second summer was organised by International Conference of Motivation and was themed around motivation and emotion. This event was hosted by Aarhus University in Denmark and took place over a three day period. Both summer schools made me think a great deal about my own research and the feedback I received has helped me make improvements to the research I’m doing right now. I will never forget these experiences, as I got to meet people from all over the world and travel to cities I had never been to before. In my opinion, this is something every PhD student should try and do! Being able to discuss your research with other people is a very important part of the PhD journey and the events I’ve just discussed have really given me the chance to do this. Being an OpenTEL PhD student has also provided me many opportunities to disseminate my work at The Open University. The annual postgraduate research poster competition takes place each June and allows students from every faculty to showcase their research. Although I have only entered this once, I found this a great way to share my initial research ideas and gain feedback in a non-threatening environment. In IET there are also two conferences that take place over the academic year: OpenTEL Show and TEL and the CALRG Conference. Before starting at The Open University I’d never presented at a conference before and the thought of doing so was a little daunting. I’m glad to say that after presenting at both they were really worthwhile experiences (and not as terrifying as I thought they’d be!). The next step for me is to present at an external event and hopefully I’ll get the chance to do this in summer. Alongside studying, I’ve been able to take part in a wide range of social and recreational activities at The Open University. These have included attending badminton, yoga and running sessions and playing squash and tennis with other PhD students. I’ve also been able to take part in the Les Irvine Memorial Relay Race and be part of an IET cricket side taking part in the annual summer tournament. Being able to take part in such a variety of activities at The Open University was a massive surprise to me but they really have made my time studying my PhD even better. Like I said at the start of this blog, being an OpenTEL PhD student has been fantastic. And I’m hoping this great experience continues for the rest of my timing studying at The Open University. Thanks for taking the time to read my blog post, I hope you’ve enjoyed reading about my experience so far!